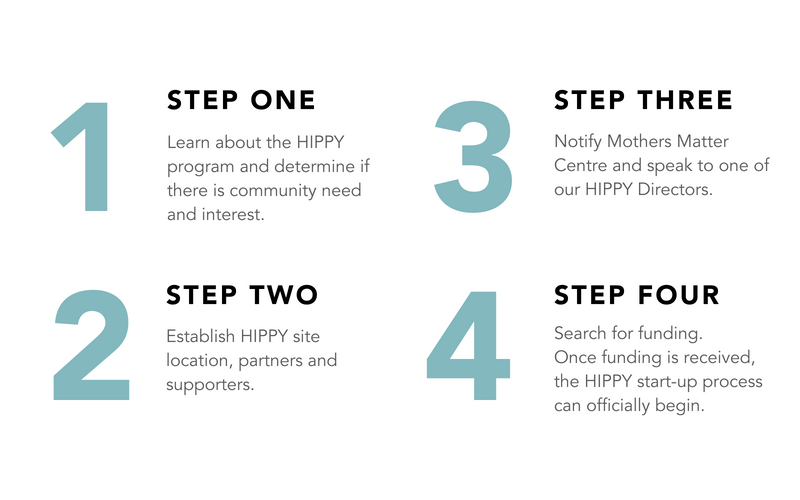 On average, it takes about 4 months to initiate a HIPPY site if funding is available, and about 1 year if it is not. HIPPY programs run concurrently with the school year. They start in September and finish in May/June. The staff of the Mothers Matter Centre has accumulated years of experience in starting new programs. Our HIPPY directors are here to help guide and support the development of your new project.